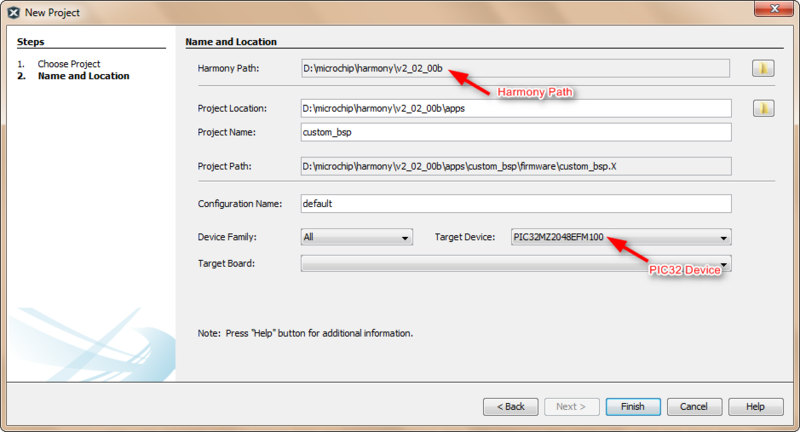 Create a new Harmony project inside the Harmony framework in which you have added the custom BSP. Refer to the below link to create a new MPLAB® Harmony Project. Create a New MPLAB Harmony Project. Select the MPLAB Harmony Path, because it contains the new BSP. Select the target device for which you have created the custom BSP ( PIC32MZ2048EFM100 for the PIC32MZ EF Curiosity Development Board). In MPLAB X IDE, navigate to Tools > Embedded > MPLAB Harmony Configurator. 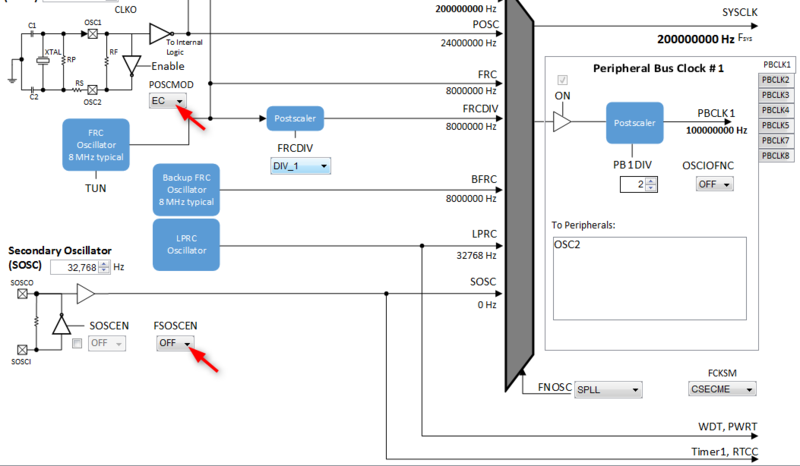 In the MHC, Navigate to BSP Configuration > Use BSP > Select BSP to use for PIC32MZ2048EFM100. You can see the newly created BSP under this menu. 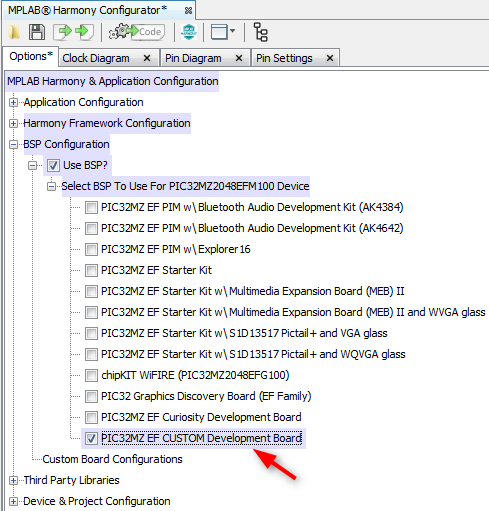 Navigate to the Clock Diagram tab of the MPLAB Harmony Configurator. The Clock Configuration shows the clock configuration values for the PIC32MZ Family. The Clock Configuration should be similar to the graphics shown below. Navigate to the Pin Settings tab of the MPLAB Harmony Configurator. The Pin Settings will be the ones you configured in bsp.hconfig.